If you want a beautifully designed pendant that will add an air of sophistication to your collection, Apples of Gold Jewelry is proud to offer you this 14K white gold design heart pendant! 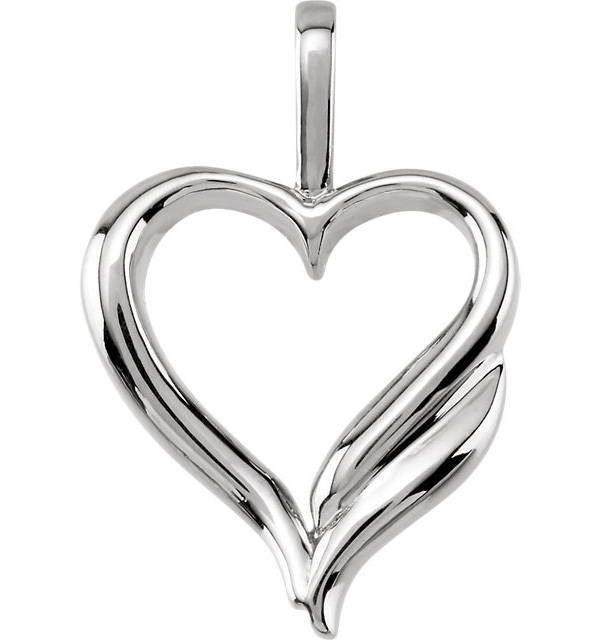 The heart shaped pendant, which is made of polished 14K white gold, has a three dimensional design. The pendant almost appears hand drawn thanks to the overlapping near the bottom of the heart, giving this pendant a unique look. The heart pendant measures 3/4 of an inch by 1/2 of an inch in size. We guarantee our 14K White Gold Design Heart Pendant to be high quality, authentic jewelry, as described above.